One of the main complaints about the AppRadio is the absence of a clock when in AppRadio Mode. There is a large clock in the center of the home screen but most apps don't display the time. There is one quick trick you can do to check the time on any screen or in any menu. This trick works with the AppRadio 3 and should work with the AppRadio 2 too (requires confirmation). First generation AppRadio users can let us know if this works for them. All you need to do is double-click the home button on the AppRadio. This will bring up the Audio Source Control (ASC) keys at the bottom of the AppRadio screen which allow you to view the current audio source and control it. 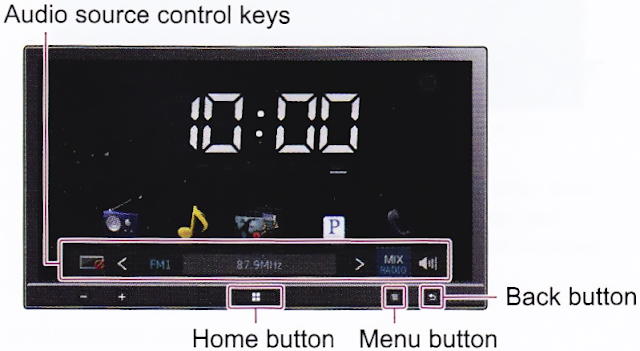 But along with the ASC keys, the clock also shows up in the top left corner of the head unit. Previously (as seen in the illustration above), this action didn't show the clock, but now it does. Now, granted this requires double clicking the home button but it's the only way to check the time right now. 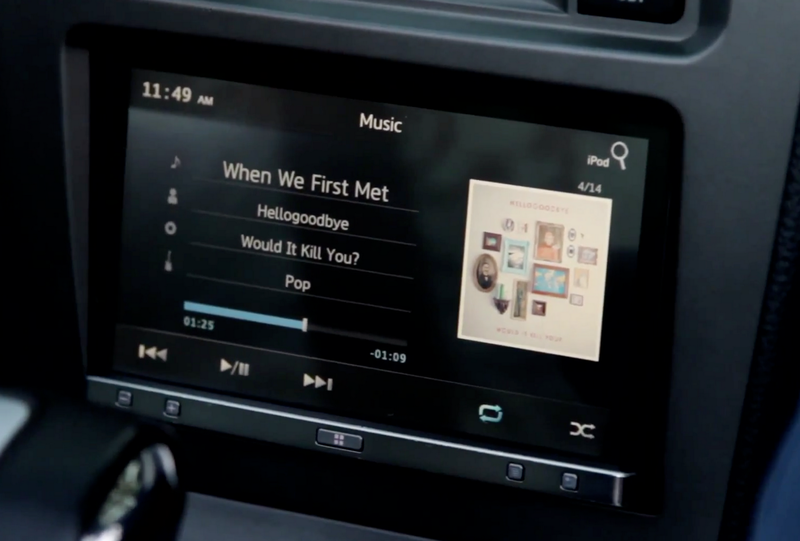 Maybe Pioneer will make a system-wide change to the AppRadio interface in the future and accommodate a clock on every screen. i have AR 3 and over all content with the radio, but i think Pioneer will make this a more popular radio if they give the user a bit more control over the unit, too many warnings, it is really distraction to be allowing the app to access the app, you should be doing this only the first time you pair you phone with the unit and then it should come up without the user being distracted form the road. there are too many things that you have to do in order to get to where you need to go on the radio menu, distractions, distractions, distractions!!!! they can do a lot better job even following the the highway patrol regulations if they really want it to have a killer product, i rent cars almost every other week and have driven almost everything out there from all the German cars to all Japanese and american and have not found sooooooo many warnings and distractions.